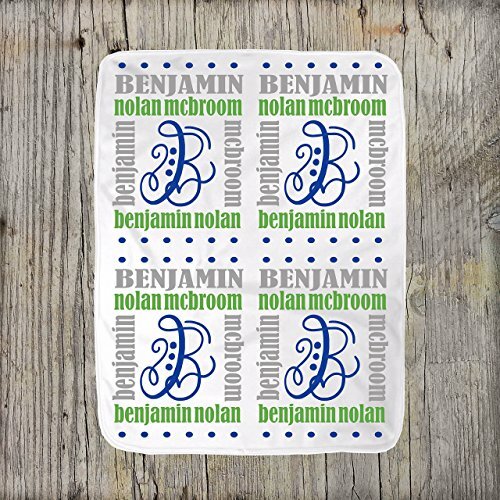 Personalize this monogram baby blanket with your name of choice! This cute newborn baby name blanket would make a unique custom baby shower gift idea for boys or girls. Perfect to use as a swaddle blanket, nursery decor, birth announcement, or photography props for newborn girl or newborn boy. A beautiful newborn keepsake gift that will be cherished for years to come. Made of pure fleece, our blankets are ultra-soft against baby's delicate skin and measures approx. 30 x 40 inches. If you have any questions about this product by Doozy Designs, contact us by completing and submitting the form below. If you are looking for a specif part number, please include it with your message.